Swasthani is one of Nepal’s most popular Hindu goddesses, but she is a unique figure in a land of many multifaceted deities. She is little known beyond her devotees, who annually recite the Swasthani Vrata Katha over the winter month of Magh or observe the Swasthani barta, or ritual fast, dedicated to the goddess. 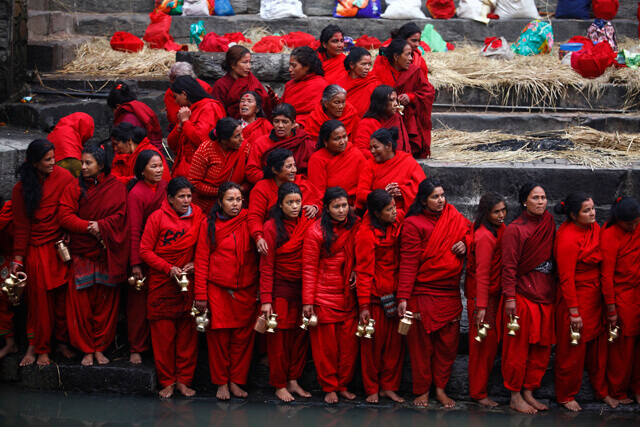 The tradition is a decidedly Nepali one. 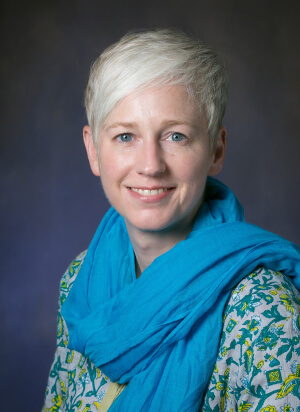 Jessica Vantine Birkenholtz (pictured below), Assistant Professor at the Department of Religion at University of Illinois, author of Reciting the Goddess: Narratives of Place and the Making of Hinduism in Nepal (OUP) and co-editor Religion and Modernity in the Himalaya will be speaking about Gender, Power, Place, and the Body in the Iconography of the Goddess Swasthani at 3PM on 18 June at the Fulbright Commission Auditorium in Gyaneswor. Hindu goddesses’s names typically reflect or reveal some key aspect of their identity, mythology, or power. Parvati is She of the Mountains, reflecting her natal origins in the Himalayas. Durga is the Invincible One, a nod to her fierceness on the battlefield. Guhyesvari is the Secret One, which refers to her association with Sati Devi’s yoni. Swasthani is the Goddess of One’s/Her/Our Own Place. But to what place does this refer? My nearly twenty years of textual-archival and ethnographic research on the Swasthani tradition suggests that Swasthani represents “one’s place” on multiple levels, ranging from one’s place in the home (where one, among other things, performs the barta), to one’s place in one’s family and village, to Nepal being one’s place. The question that interests me more—and to which we can more readily find concrete answers—is: Where is Swasthani’s place? Historically and largely still today, Swasthani is worshipped in the form of the Swasthani Vrata Katha, which dates to the late sixteenth century. The book is the embodiment of the otherwise aniconic, unembodied goddess. 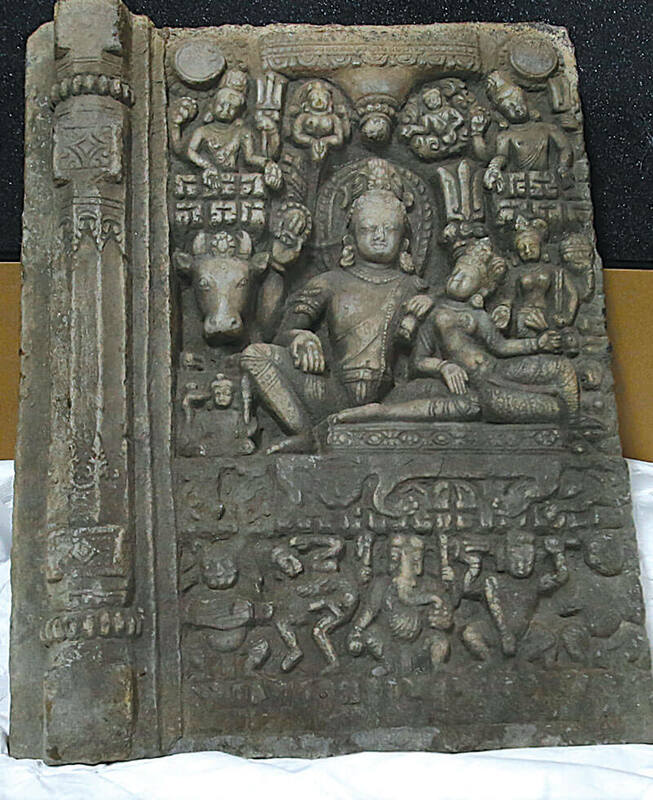 Unlike her many divine colleagues who populate the Kathmandu Valley’s landscape, physical images—statues, wood carvings, pictorial images, etc—of Swasthani are strikingly absent throughout much of her history. There are in fact only three known statues of Swasthani. 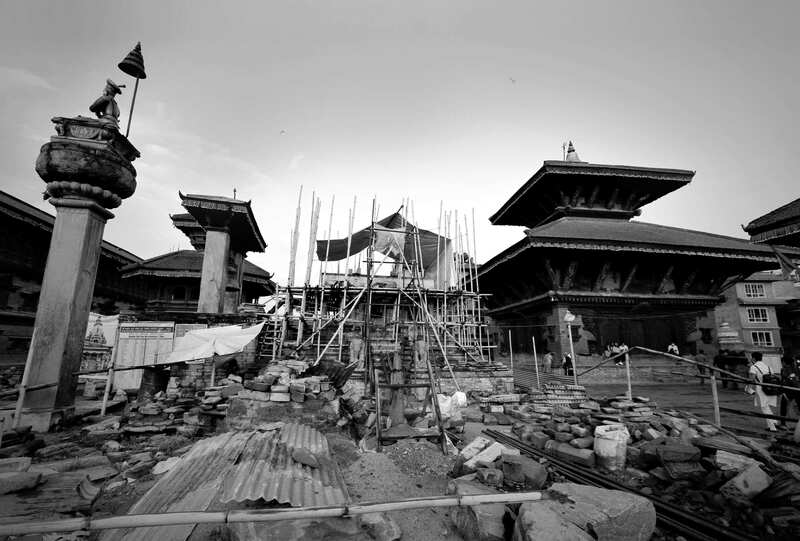 The first, installed by a devotee in his Patan courtyard in 1669, is no longer in situ. King of Kathmandu Pratap Malla installed a second stone image of the goddess in 1674, which is now located in Makhan Tole, though few Nepalis know this is Swasthani. She appears here seated next to Shiva on a lion vehicle in a consortly fashion and is frequently mistaken for Parvati or Uma. The third image of Swasthani is of much more recent origin. Consecrated in the early 2000s in the town of Sankhu on Kathmandu’s northeastern outskirts, Swasthani, here carved in black granite, sits tall atop a pedestal representing a lotus flower, the eight-petals of which are adorned with the Astamatrika, or the Eight Mother Goddesses. This twenty-first century Swasthani represents two major shifts in the goddess’s history and iconography, namely, from bodiless outside of the Swasthani Vrata Katha text to physically and publicly embodied, and from represented as Shiva’s consort to being an independent goddess associated most closely with a host of fierce, protective mother goddesses. 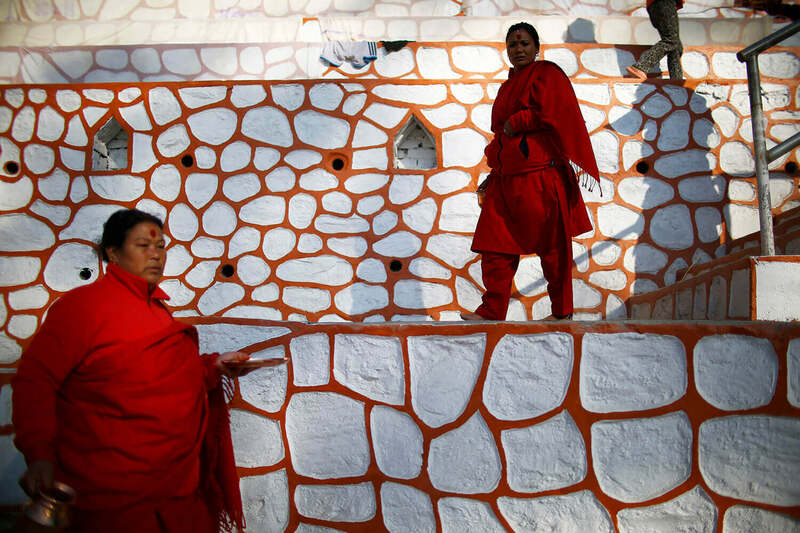 In yet another striking development, Swasthani in Sankhu, which is closely associated with her tradition because it is believed that key events in the Swasthani Vrata Katha occurred at the Sali river that flows alongside Sankhu, is housed in her very own temple. For the first time in the goddess’s history, Swasthani has her very own place.